What are the determinants of long-term economic growth?- Long-term economic growth is realized by the increase in quality of production factors such as natural resources, labor resources, technology and capital resources. Different methods of raising funds by firms.- Small or sole-proprietor companies raise funds through own savings, advances from banks (commercial banks), loans from friends and relatives and borrowings from various finance companies.Large firms, on the other hand, raise funds from issue of shares, debenture issues and loans obtained from financial institutions. They also use their profits by reinvesting it back to the business among many other methods. Among these methods, issue of shares is only done by public companies and not private companies. Many types of unemployment exist such as structural, frictional, cyclical and natural unemployment among many others. However, among all these types, structural unemployment is the most serious since many unemployed people are found in this category and are unlikely to find new jobs without interruption. They have the necessary skills, but their skills are rarely in demand. The usefulness of structural unemployment and frictional unemployment in identifying GDP comes as a result of the behavior of GDP in times of unemployment. In most cases, unemployment rate is higher during times of negative GDP growth rate. In a market driven economy, inflation occurs because of a higher increase in citizens' spending than the increase in production and supply of goods and services. Inflation in a market driven economy is also caused by a larger decrease of goods and services supply compared to the consumption, which remains higher. All these situations lead to increased prices of goods and services especially when government is not there to control the prices. When inflation is not expected, it can actually redistribute income because of the dissimilar or the unequal effects it has on different groups and individuals. What is the cyclical unemployment rate? and what kind of gap is this economy experiencing. The cyclical unemployment rate in this case, is higher than structural and frictional unemployment rate. Y-Y*/Y* where Y* is the potential GDP and Y is the real GDP. Since this output gap is negative, the economy is experiencing a recessionary gap probably due to deflation. Compute the lost GDP due to unemployment rate? The potential-the real GDP shows the loss, which in this case is 16-15=$1trillion. All this can be illustrated graphically. For example, the current recessionary gap can be illustrated in Figure 1 where such an inflationary gap was witnessed between 2008and 2009. The output can be illustrated using Figure 2 where the actual loss can be seen from the gap between the potential and the real GDP. 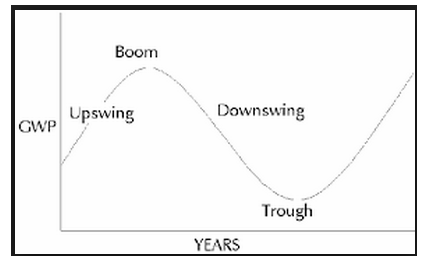 Figure 1: An example of an Inflationary gap of an economy through the years. The US business cycle between 2006 and 2013 is a contraction and expansion cycle especially because of the recent economic recession in 2007/2008 period. The shape would thus be as in Figure 3. Building permits are indicators that an economy is recovering from a slump meaning that they are issued during an economic boom and not during a recession period. Suppose an economy's nominal GDP was $12 trillion in 2012 and $17 trillion in 2014. Assume the GDP price index was 175 in 2012 and 183 in 2013. What is the growth rate in nominal GDP? What is the inflation rate in this economy? If the price level increases by 5% while nominal income increases by 8%, then real income would fall/increase by about what percent? If an individual's nominal income rises by 8% while the price level increases by 5%, then, the persons real income will have moved from100 to (108/ 1.05)= 103, which is from 100 to 103 giving a percentage rise in nominal income by 3%. The interest rate would be reduced by the same amount of inflation from4% to 2%. Therefore, the amount of the loan during maturation would be 10,000*2/100+ 10,000=10,200. The MPc shows the changes in consumption expressed in changes in income. An mpc below 1 shows that people are not consuming or are not spending despite high incomes. Therefore, the gap in this case is an inflationary gap where people's spending is affected by future anticipations. The best fiscal policy in this case is to reduce government spending. Instead of a fiscal policy would you recommend to eliminate the GDP gap? The government can still use a monetary policy and the best one is to add money to the economy in order to stimulate spending as shown in figure 4. 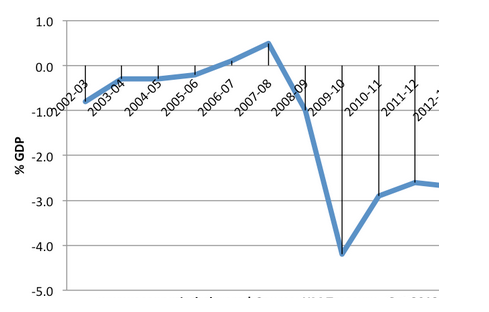 By how much and in what direction taxes have to change to eliminate the gap? Direct taxes reduction has an effect in the inflationary gap since it reduces the gap by encouraging people to spend more. 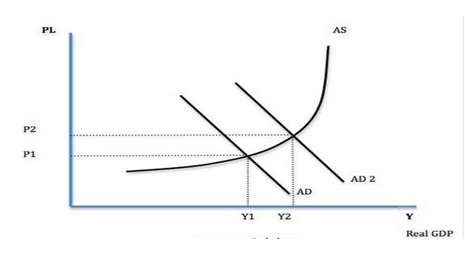 Explain how an increase in G decreases in taxes can affect the trade balance of the country and the economic growth. By decreasing taxes, consumers spend more, producers are encouraged to invest and more employment is created meaning that the economy starts growing. If there is a marginal tax rate of 20% and a marginal propensity to import of 10% by how much taxes should change to eliminate the gap?